Philosophy of Voluntaryism 006 is a look at the role emotions can play in voluntaryism, by Danilo and Jim. Philosophy of Voluntaryism 005 is a look at the practice of protesting by Danilo and Jim. 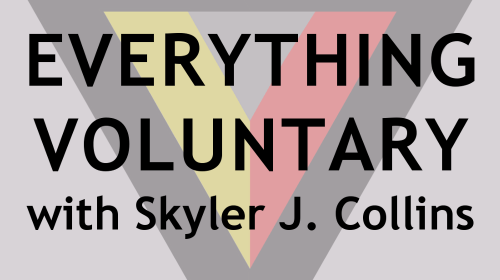 Philosophy of Voluntaryism 001 is the first episode of a new podcast series by Danilo Cuellar. This episode features a conversation with Jim Limber Davis on the concept of self-ownership.